Just one more day until the weekend! I actually can't wait because I just feel really out of it lol. Plus next week is my daughters March break. 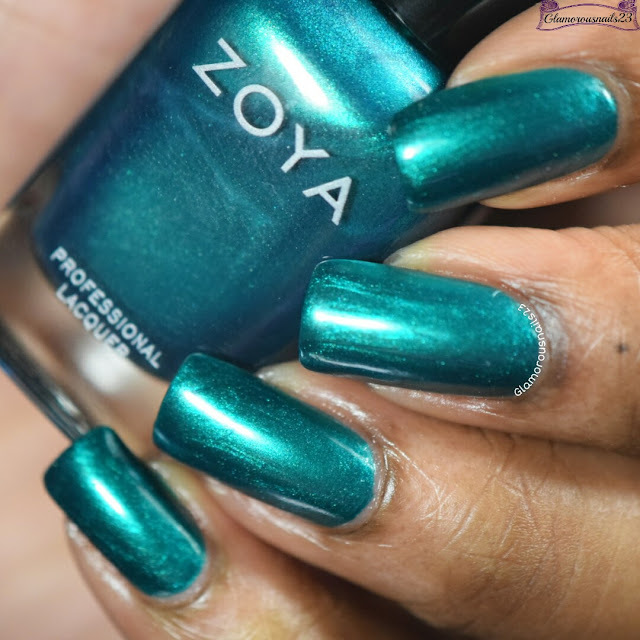 I'm going to keep this one short and sweet.Today I have a gorgeous polish from Zoya to show you. See more after the jump! 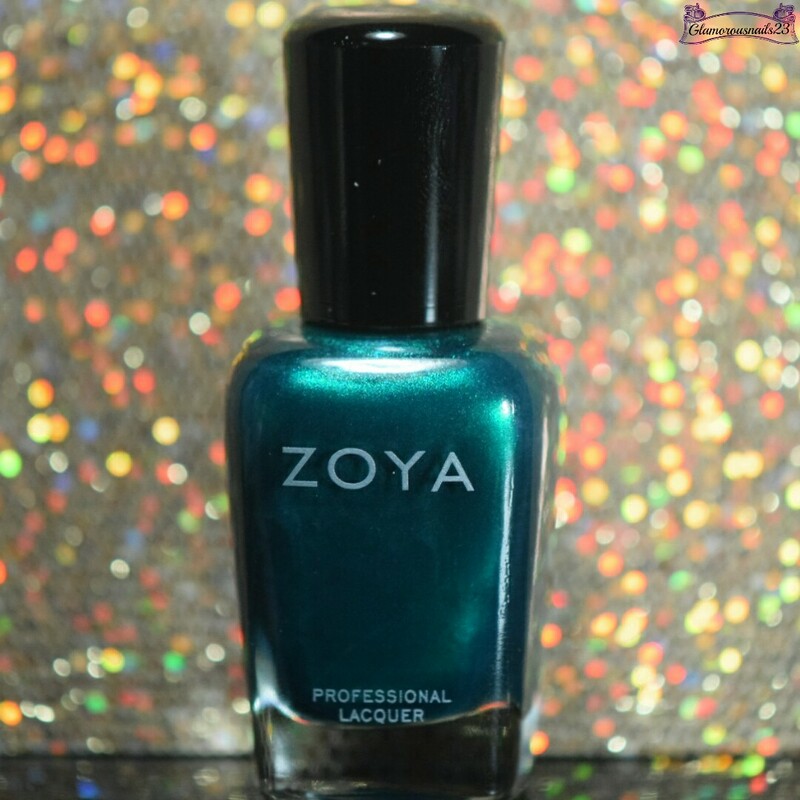 Giovanna is an emerald green metallic from the Satins Fall 2013 Collection. The formula was smooth with an okay drying time and good coverage. I did find this to be slightly brush strokey but it wasn't too bad. You might want to double up on your base coat though because this one did leave some minor staining on my nails. Giovanna was almost a one coater for me and depending on how you polish you could probably get away with it! Shown is two thin coats with a glossy top coat. Zoya polishes can be found online, in beauty supply stores and they also offer shipping internationally. 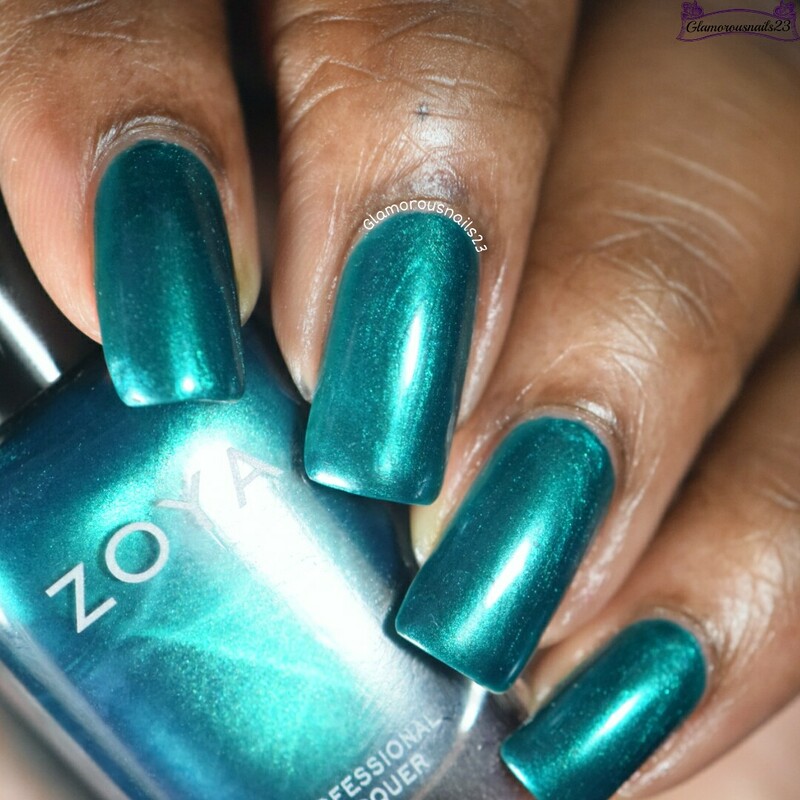 The polishes range from $9.00 - $10.00 and are very well known for their 5-FREE formula. Zoya polishes don't contain formaldehyde, resin, toluene, dibutyl, or camphor. Do you own Giovanna? Did you pick up any polishes from the Satins 2013 Collection? Do you like metallic polishes? Thanks for stopping by!